TNT July Stakes (Group 2) over 6f on good to soft ground. Nine colts, all experienced, take part in this competitive affair. Ahern made an impressive start to his career when winning a Stakes race at Musselburgh with ease. David Barron must have been disappointed with his juvenile's performance in the Norfolk Stakes (Group 2), which was ruined by a tardy start. In truth, this recently-purchased [Qatar Racing Ltd] son of Dutch Art ran a super race and would most likely have won had he started on terms. This extra furlong should make life easier and I would expect this youngster to reverse the form with Gale Force Ten. Richard Hannon had a few near misses at Royal Ascot & Andrew Tinkler will be hoping *Sir Prancealot can show his well being after a fantastic fourth in the Coventry Stakes (Group 2). Heavy Metal was left behind that day and would need to have disappointed to turn the tables, which looks unlikely. On a form line with Woodcote Stakes (Listed) winner Chilworth Icon, both look to have their work cut out. To add to the mix we have a couple of juveniles from Royal Ascot's Windsor Castle Stakes (Listed). Alhebayeb finished second in a very tight affair, where there was little between the first seven. Perhaps on form, this good-looking colt needs to progress over this extra furlong. Smoothtalkinrascal had show good pace when an easy winner at Leicester but was always on the back foot in this higher grade. This looks tougher. Lewisham has pace but faces a stiff task and best watched. *Birdman is similarly on the upgrade and has done little wrong in his last two wins. David Simcock is never the type of trainer to attempt Group class for the hell of it and this bay colt, although needing to find ample improvement, does look capable of better. Conclusion: From a purist point of view these are races to enjoy rather than bet. Well, that's my approach to such elite juvenile contests. Ahern looks a talent. 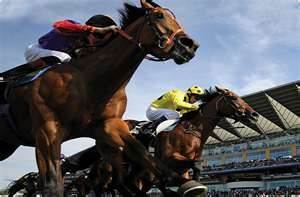 He had no luck at Royal Ascot and for the money which Qatar Racing Ltd spent acquiring juveniles for that prestigious meeting they had little return. Today may give connections something to celebrate. This extra furlong shouldn't be a problem and a bold show should be expected. Sir Prancealot ran well in the Coventry Stakes (Group 2) and sets the level. This pair should be respected.